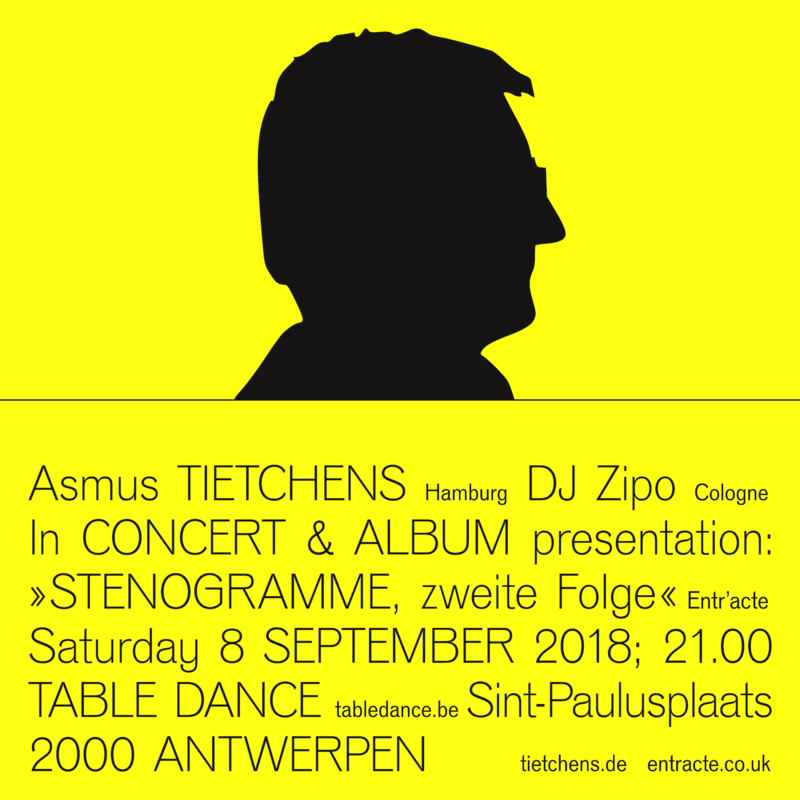 The fantastic Entr’acte label will release a new CD by Asmus Tietchens entitled “Stenogramme, zweite Folge”. It has the label catalogue number E233 and is published as a limited run of 150 CDs in the standard label design. We will have copies in the aufabwegen mailorder mid September. To celebrate the publication of the CD Asmus Tietchens will play a solo concert in Antwerp on September 8th, 2018 at the Table Dance venue. Before and after the concert there will be an experimental DJ set by DJ Zipo [aufabwegen].